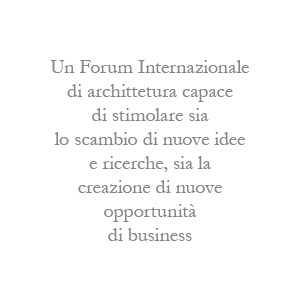 Nemesi&Partners has its seat in Rome and is an integrated service company for architecture lead by Michele Molè, Creative Director and Susanna Tradati, associated partner. Founded in 2008, the company supports the design activity of Nemesi Studio, established by Michele Molè in 1997. Complex geometry, asymmetry, succession of lights and shadows, of solids and voids, volumes create contrasts and comprehensive and functional internal spaces, those are the main figures that characterized Nemesi’s architecture. An architecture that materialize itself in sophisticated and coherent shapes, that distinguished themselves for technological innovation and sustainable approach on realization. Main projects: Padiglione Italia Expo 2015, Milan, 2013 (on going); New ENI Headquarter, won competition, in partnership with Morphosis Architects, Milan, 2011; Reconversion and Renovation of Ex Lanificio Luciani, Rome, 2007; Musealisation and urban upgrading of the archeological area “Mercati Traianei”, Rome, 2004; Office block Italpromo & Libardi, Rome, 2004; Polifunctional and religious center S. Maria della Presentazione, Rome, 2002; Eurodomus Residential Block, first prized international competition, Rome, 2001; Duke’s California Bar and Restaurant, Rome, 1999; Piazza del Municipio, design project in partnership with Delogu &associati, artistic collaboration of Maria Lai, Sinnai/Cagliari, 1998.